The trainer was very well informed, it was also beneficial to be taught by someone currently working in the EU. Very engaging trainer with very supportive style - provided constructive feedback, which was much appreciated. Having the right trainers is just as important as developing the right training programmes. We handpick our trainers, and we pick the best. Our trainers have a mixture of many years of experience working in public, private and third sector bringing along a vast range of knowledge to our training. This knowledge and experience allows us to develop innovative and up-to-date programmes that are second to none. We have some of the best trainers in the industry who embrace the latest leadership and management practices and continue to help shape the public sector through their workings and contributions as best-selling authors and writing for leading journals. Andrea is currently the Head of Strategic Marketing at the British Council. She has over 20 years’ experience utilising data to drive business expansion and growth for leading brands and organisations. Andrea Daniels has over 20 years’ experience utilising data to drive consumer understanding, business expansion and growth for numerous leading brands and organisations. Andrea is currently the Head of Strategic Marketing at the British Council, where she is responsible for the leadership of its marketing and research functions within the Education and Society business unit. Her role focuses of the application, dissemination and understanding of consumer insight within the organisation to drive business innovation, support prioritisation and harness opportunities for growth. Prior to joining the British Council, Andrea was a Senior Research and Strategy executive at the BBC and its commercial arm BBC Worldwide. Here she used consumer understanding to drive growth across its leading brands and services. She also led on the development and delivery of the corporations most widely used consumer engagement portal, bringing insight and understanding to all across the BBC through its digital delivery platforms. Andrea has extensive experience leading research activity within the Public Sector. This was gained from her roles as a senior researcher and trainer at top agencies Ipsos MORI and TNSofres in both a qualitative and quantitative research capacity leading projects across the Public Sector, from large scale NHS service user programmes to highly sensitive user group studies for bodies such as NSPCC and DWP. Andrea studied at Manchester University’s Politics and Economics Department and has an MBA from Open University Business School. She is a holder of both the Market Research Society’s Diploma in Research Methodology and a CAM Certificate in Marketing. Alongside her executive roles, Andrea is currently an elected member of the Open University Business School Alumni Council, supporting the growth and development of the Schools 90,000 strong alumni body and delivering training and talks to the wider alumni community. Studied at Manchester University: Politics and Economics Dept. This course gives delegates an introduction to the visualisation tools and skills needed to create effective and interesting visual presentations that will capture their audiences attention. This course is designed to give delegates the tools to effectively understand, scope and confidently interpret data by unlocking the key principles, techniques and uses of quantitative analysis. For nearly two decades, Andreas has worked extensively across both central and Eastern Europe, gaining extensive experience in delivering programmes regarding all matters surrounding the EU. Andreas possesses nearly two decades of consultancy and training experience, delivering programmes regarding all matters surrounding the European Union. Andreas has helped to create, implement and market annual summer schools for international participants from Central and Eastern Europe in Croatia and has worked with governmental officials, NGOs, journalists, representatives from the business community, as well as high school and university students in Bosnia & Herzegovina, Macedonia, Croatia, Serbia, Turkey, Hungary, Estonia and Cyprus (north and south) on numerous projects, initiatives and programmes. He has implemented over 150 projects during the last 16 years including designing, managing and implementing a rural development strategy at state and entity level in Bosnia & Herzegovina and acting as a regular consultant for the Ministry of Foreign Affairs and European Integration in Croatia. Andreas is also a consultant on the Executive Master Programme in International Logistics, which is designed for top level managers from across the world at Georgia Technical University. He obtained his PhD in Government from the London School of Economics and Political Science, going on to hold the position of Lecturer in European Integration there. ‘The European Union Explained: A guide to institutions, actors, and global impact’. Indiana University Press (2013), 3rd edition. ‘The Politics of the European Union.’ (Course Book written for External Degree Students). University of London (2006); an updated course book was published in 2011. ‘National Identity in Eastern Germany’ Westwood, 1998. ‘What is a European Identity?’ (O Que e identitade europeia?’. In Isabel Capaloa Gil (ed. ): Identidade Europei. Universidade Catolica Editora. Lisbon 2004. ‘How Influential is the European Commission’. Standard & Poors. MMS on-line Journal (1999). ‘The European Central Bank: Political Tool or Political Independence’. Standard & Poors. MMS on-line Journal (1999). ‘The Constitutional Agenda of the European Central Bank’ Standard & Poors. MMS on-line Journal (1999). ‘Press Images of Nationhood: in a European Context: Germany and Great Britain’. LSE (1997). ‘Converging Administrative Systems: Recruitment and Training in Germany’. LSE (1996). Andrew was the MP for Hendon from 1997 to 2010. In a varied parliamentary career, Andrew built a reputation as an expert in private members’ legislation and chaired the Joint Select Committee on Human Rights. He also served on the Standards and Privileges Committee for nine years, the Work and Pensions Committee for seven years and the powerful Liaison Committee for five years. Growing up in a political family, Andrew began his career in politics in 1982, as the then youngest ever councillor on Westminster City Council, becoming Leader of the Labour Group in 1990. Prior to entering Parliament, Andrew had been a partner at Thompsons and at Russell Jones and Walker, specialising in personal injury and trades union law. Andrew now works as a consultant specialising in legal affairs. Andrew is also the co-ordinator of the Access to Justice Group. This course will provide delegates with the knowledge and skills needed to maximise the effectiveness of their input in answering and tabling parliamentary questions. 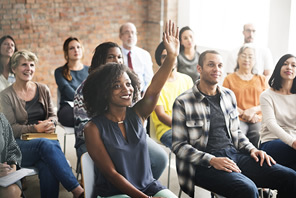 This one-day course that is specifically designed to ensure delegates are prepared and able to communicate their message effectively in the event of a hearing. This course will provide a comprehensive insight into the systems and workings of the UK Parliament. Angela Blacklaw has a broad range of experience working within and providing training for the public sector. Her expertise cover a range of topics including communication, leadership, wellbeing and resilience and talent management. Angela Blacklaw has a broad range of experience working within and providing training for the public sector. Angela designs and facilitates training on a variety of topics including identity and branding, action learning, and career coaching. Angela has delivered training to a variety of public sector clients such as Ministry of Justice, Hampshire County Council, DWP and DfID on a range of topics including communication, leadership, wellbeing and resilience, and talent development. Angela is dedicated to creating sustainable change in the public sector. To this end, she has served as Head of Internal Communications in the Food Standards Agency, Head of Change Communications and Culture Change in Defra, and Head of Talent Development in the Department of Health. In addition to her roles working within these organisations, Angela has also supported the public sector through her expert training. Angela has also supported leadership development for Health Education England, NHS Leadership Academy, the Church of England, Sellafield Ltd and Liberty Mutual. Angela has worked to provide transformational learning opportunities on the individual and organisational level for two decades. She is a skilled communicator and trainer specialising in galvanising organisational change and designing and delivering courses that challenge and strengthen participants. Angela Blacklaw earned a Certificate in Organisation Development from the NTL Institute and a Master of Science in Human Resources. She is also a Fellow of the Chartered Institute of Personnel and Development (CIPD) and a Neuro-Linguistic Programming Master Practitioner. Registered with the British Psychological Society (BPS) as Test User, Occupational: Ability and Personality (formerly Level A and B). Qualified in Jung Type Indicator, Emotional and Social Competency Indicator, Talent Q and Korn Ferry Hay Group’s own Leadership Styles, Organisational Climate and Growth Factor Inventory tools. Demonstrating the benefits of effective coaching leadership within organisations, this course gives delegates the foundations to understand the value of a coaching and mentoring structure. This one-day workshop introduces the key concepts of emotional intelligence and equips those in senior positions with the skills and knowledge to lead their teams through times of challenge. This half day course is designed to help participants make the most out of the eight key ways to enhance empathy and motivation. This one day course is designed to help participants recognise their own ‘wicked’ problems and equip them with the tools needed to overcome challenging teams and situations. This highly practical programme addresses the issues and the challenges women face in leadership, offering advice and approaches based on what is proven to work well in terms of leading and managing. Ann has worked within the UK Government for over 20 years in various roles both policy and operational working nationwide and at the centre of government. Ann became a senior manager and the latter half worked as a Human Resources specialist including Head of HR and Training at UK Prime Minister’s Office. Ann Collins began her career working as a Civil Servant. She worked within the UK Government for over 20 years in various roles both policy and operational working nationwide and at the centre of government. Ann became a senior manager and the latter half worked as a Human Resources specialist including Head of HR and Training at UK Prime Minister’s Office, 10 Downing St.
Ann established “Think!” in February 2003 – a consultancy specializing helping organisations and individuals be the best they can be. With over twenty years experience in the HR and Learning and Development (L&D) field she has helped create HR functions and developed new and innovative HR and training policies and programmes. She is also an experienced management trainer and a qualified “Time to Think” practitioner which is a model that helps people think better for themselves and remove assumptions that limit our thinking.Whilst her key areas of expertise are HR and Learning and Development, Government Reform, Organisational Development and Change Management. She has also been involved in developing government policies and procedures, support to Prime Minister’s and Minister’s Offices and the setting up of Cabinet Secretariats. In the last thirteen years Ann has been working as an international advisor in the post conflict and development field. She has worked in various countries including Afghanistan, Iraq, Pakistan, Serbia, Palestine, Indonesia and the Philippines. The majority of this work has been the development and implementation of Human Resource Policies and Procedures as well as Public Administrative Reform in various Government Departments. These include Centre of Government, Ministry of Counter Narcotics and Ministry of National Statistics. She has acted as Advisor / Mentor to a number of Ministers including the Ministry of Power, Minister of Trade and Minister of Agriculture in Nigeria. Her most recent experience has been in Jakarta and Manilla where she worked with in the areas of Education and Poverty Reduction. She was responsible for carrying out and implementing organizational reviews and supporting change management processes. She also carried out various management and training workshops as well as the Myers Briggs psychometric test. Ann has strong organizational skills and is an excellent communicator with the ability to work at all levels and with different cultures. She enjoys being able to support people and organisations reach their potential and be the best they can be whilst recognizing their different needs, skill levels and abilities. Ann is currently a trainer at Civil Service College. Her previous roles include Director of Studies at RIPA International and Senior Learning and Development Consultant at The Royal Borough of Kensington and Chelsea. Ann has worked at RIPA International as Director of Studies. In this role she was responsible for the design and delivery of all HR, management, and leadership programmes for Senior Overseas Government officials attending London based training. Additionally, Ann has designed and delivered bespoke in country training programs for a variety of countries including Qatar, Bahrain, Dominica, Botswana, Bangkok, Libya, Kenya, Sierra Leone, Kosovo, and Zambia. Prior to joining RIPA International, Ann served as Senior Learning and Development Consultant at The Royal Borough of Kensington and Chelsea. In this role she designed and delivered a range of bespoke courses as well as directing the NVQ Level 4 Management programme for Chartered Management Institute (CMI). Additionally, she organized conferences for top managers and carried out workplace mediation. Ann has worked to provide exceptional training in both the private and public sector for over two decades. She possesses extensive experience in delivering domestic and overseas training on a variety of topics such as leadership, performance management, succession planning, train the trainer, developing a competency framework, and performance review. She is a qualified and experienced OCN Law Society Mediator and Chartered Institute of Personnel and Development (CIPD) Coach. Additionally, she is a member of the Association of Coaching. Tas is a former ad agency Planner who has spent the last ten years running a strategic brand, communications and training consultancy specialising in creating ‘Insightment’ and Storytelling. He was also founding editor of Mintel’s Trends product, Inspire. Tas runs courses on Storytelling, Behavioural Economics, Insightment and Creative Briefing amongst others in the UK, US, China and UAE. He is also a long-term Ad Agency planner/Strategist and still freelances with several ad agencies and clients. He is an Associate Lecturer at London College of Communications, Bucks New University, Nottingham Trent and Beijing Normal Universities. Tas is also a Principal Advisor for CIO Connect in Hong Kong, the premier advisory service dedicated to CIOs and other technology leaders in Hong Kong. Tas is a regular speaker at international conferences, for example, keynoting [an actual verb] at the US Insights Association “Next” conference in New York in May 2017 as well as at the Australian Market Research Society annual conference in Sydney in September 2017. He is the author of The Storytelling Book, the award-winning guide to using storytelling techniques to improve presentations and communication. The book is already on a fourth reprint. A short clip from a recent book talk is here and an article from Management Today is here. His new book “The Inspiratorium”, a compendium of insight and inspiration is full of thinkers thoughts and their distilled wisdom covering subject from artificial intelligence to philosophy and football. This book is out now on both physical and virtual shelves. Tas is also a Trustee of the Phoenix Cinema, the oldest continually-running cinema in the UK, speaks passable French, obsesses about etymology, rather over-avidly follows Arcade Fire, Game of Thrones and Stranger Things, and plays tennis and skis harmlessly. This course offers participants a more accessible model for understanding the basis of behaviour change and how to implement against it. This course will show participants how to become more efficient and effective in all their communications, enabling them to harness the power of ‘Storytelling’. Bill has significant first-hand experience in the public sector across central government, Arms Length Bodies, Police, local government and NHS Foundation Trusts. He has advised on reporting for the Intelligence and Security Committee and has appeared at the Public Accounts Committee. He brings the practical knowledge and application of governance and accountability across different tiers of government and public sector bodies. A qualified public sector accountant (CPFA) with additional qualifications from CIMA and an MBA. With over 10 years of experience in training senior management and board members, Brian is one of the most experienced and authoritative trainers in accountability, governance and financial management in the UK. Brian regularly provides induction and board development programmes for non-executive board members of government departments, executive agencies, Non-departmental Public Bodies, NHS bodies and public corporations. He has run programmes for over 100 Non-Departmental Public Bodies, and other Arm's Length Bodies, and is experienced in working in all UK jurisdictions. Brian has written guidance material on numerous governance topics such as the management of conflicts of interest, as well as a guide to working in central government for newly appointed non-executive board members of government departments. On an international level, Brian has delivered programmes on accountability, governance and financial management in Macedonia, Abu Dhabi, Russia, Hungary, Poland and the Turks and Caicos Islands. Brian is a qualified management accountant (ACMA), has a teaching qualification, and holds an MA in Management Learning. With over 27 years’ experience of leadership in the public sector and almost two decades spent in Parliament, Bridget has an insider’s understanding of the challenges and opportunities that face public bodies and third sector organisations. Bridget has served 18 years as MP for Lewisham East, was a Government Whip and a Minister in the Ministry of Justice with responsibility for 14 policy areas. This ranges from legal services, the courts and tribunals, youth engagement to electoral administration etc. She has piloted major pieces of legislation through parliamentary process and has negotiated financial packages to support key groups such as Coroners’ Courts Support Staff. She has also played a key role in designing and implementation of policy. Prior to taking on ministerial positions, Bridget was a member of the Home Affairs Committee, Court of Referees and Parliamentary Commissioner for Administration. She is presently a Trustee on the Jimmy Mizen Foundation and on Age Exchange, the Chair of Governors of Trinity Lewisham School and Electoral Commissioner at the Electoral Commission. Specialises in organisational and personal change. Her key areas are civil service reform, managing across cultures, strategic planning, implementation and change management. Carolyn is a Management Consultant and a trainer who is specialised in organisational and Personal change. Her key expert areas are Civil Service Reform, Managing across cultures, Strategic Planning, Implementation & Management of Change, leadership & Management Development, Performance management, benchmarking and Quality, Training Methodology, Facilitation, Coaching & Mentoring. Carolyn has 15 years experience working with senior & middle managers across both the public and private sector and has delivered a range of change initiatives across a number of continents. She is a confident and relaxed communicator who focuses on practical achievement and personal objectives. Paramount to her approach is the desire to develop the internal capacity and sense of ownership that encourages successful implementation of change initiatives. Catarina is the Co-Founder of the School of International Futures and was the Strategy Project Director at the Foreign and Commonwealth Office, where she oversaw directorate for Strategy, Policy Planning and Analysis. Catarina Tully is the Co-Founder of the School of International Futures (www.soif.org.uk). Prior to this, she was the Strategy Project Director at the Foreign and Commonwealth Office, where she oversaw directorate for Strategy, Policy Planning and Analysis. She co-led the Foreign Secretary’s FCO strategy refresh over five month period, focusing on organisational priorities and as a result re-oriented resources and processes, sharpened internal/external communications and effectively prepared the organisation for the future. She also directed three month strategy projects with cross-Whitehall teams on HMG foreign policy priorities, including developing a new multi-agency approach to delivering UK foreign policy in West Africa. Catarina designed and delivered training packages to enhance directorates' strategic capability, pioneering and embedding the use of strategy tools to deliver better policy across the whole agenda. She also established and led an innovation agenda to introduce new thinking into the FCO. As a Director of the future planning organisation FromOverHere, Catarina provides thought leadership consultancy on strategy in 21st century foreign policy, with her client list including UK Parliament US Government, Universities, NGOs & private companies, on strategy development, understanding the international context, policy development, managing risk and strategic communications. She researches and advises on national strategy, the impact of technology and participatory forms of public engagement into emergent strategy. Catarina has a Masters in Public Administration from the Woodrow Wilson School at Princeton University and a business and finance strategy qualification (CIMA). She currently advises the UK and US governments on futures and national strategy, including a recent UK public parliamentary inquiry on the UK´s strategic capability. Claire is a learning and development specialist with experience working in the UK, Mainland Europe and the Middle East developing leaders capability to achieve success through their own personal effectiveness and leadership of their teams. Claire has expertise in Global Leadership Development, Cultural Diversity, Coaching, Employee Engagement and Change Management. Her experience has included working with multinational teams in the UAE in the manufacturing and Aviation sectors and in the UK Civil Service in Defence, the Cabinet Office and Department for Culture Media and Sport. David is an expert on securing value for money through effective procurement and contract management. His vast experience includes ten years spent at the National Audit Office and working with private financing institutions. David is an experienced public speaker and has trained Civil Servants in negotiating deals and contract management issues. He is currently Chair of the National Youth Agency which promotes the interests of young people and those who work with them. He also advises Local Partnerships on plans to achieve improvements to contract management training for local authority officials. Chartered Accountant FCA; Accredited mediator. Course attendees will be able to learn about best practice in contract management and to draw up an action plan for how the project and the contract management relationships will be improved. Dennis has obtained extensive experience and knowledge regarding successful communication through his various roles, including his position of Speechwriter for a number of high-profile politicians and business executives. Dennis helps individuals and organisations across a range of sectors identify and define their mission and establish strategy through the application of storytelling. He uses the perspective of stories that are compelling and strongly resonate with their audience can help to create effective strategies, shared organisational goals and help to promote employee motivation. In the past Dennis has worked as strategist for organisations in a number of sectors, including politics charities and business across a variety of competencies, with a significant emphasis on customer engagement strategies and communications. As part of this work, he has written scripts and speeches for former Heads of Government and Cabinet Ministers, as well as front bench politicians and leading international business executives. Dennis studied at Nottingham University and is a fully Certified Teacher of English as a Foreign Language (TEFL). This course teaches delegates how to perform in different situations in order to communicate in a compelling way, giving attendees a chance to enhance their own presentation skills. Our speechwriting course helps delegates to understand how to put together a compelling speech that powerfully and effectively communicates their message. Adam is a Professor, Fellow and Associate at numerous UK and international schools of management, economics and political sciences, including roles as a lecturer on European Politics and Government at Oxford, Cambridge and LSE. Adam is a Professor, Fellow and Associate at numerous UK and international schools of management, economics and political sciences, as well as holding the position of Faculty Professor at IÉSEG School of Management in France. He has held posts at Oxford, Cambridge and the London School of Economics and was Head of the School of European Studies at the National School of Government. He is a frequent speaker at high-profile national and international events with ministers, practitioners and academics. Featured as one of the thirty leading Quebecers in the world: ‘Leçon d’Europe: Il connait le fédéralisme européen mieux que les Anglais!’ in Trente Québécois qui font une différence, L’Actualité. ‘Workers’ Participation in Post-Liberation France’, Lexington Books. Ajay Khandelwal PhD is a psychoanalyst with extensive experience of working with civil service groups and 121. Ajay Khandelwal has a private practice in Harley Street and SE1 and specialises in working with successful professionals who are experiencing difficulties in their careers and looking for opportunities to develop. Ajay Khandelwal PhD is a psychoanalyst with extensive experience of working with civil service groups and 121. Ajay Khandelwal has a private practice in Harley Street and SE1 and specialises in working with successful professionals who are experiencing difficulties in their careers and looking for opportunities to develop. He is a featured writer for the award-winning website welldoing.org. and Psychologies magazine Life Labs platform. He is registered with the UKCP, BACP, College of Psychoanalysts and the Guild of Psychotherapists. This half day workshop offers participants an opportunity to reflect on the personal impact of change and uncertainty, offering practical tips and techniques to help develop personal resilience. This course helps delegates understand what their own communication styles are, and what can be changed and improved to be a more effective communicator. This course will explore the ways that organisations interact with the public and how they can think creatively about tapping into the value created by citizens to reshape and enhance public services. Roger is currently the Director of Studies at Civil Service College. His previous roles include Chief Operating Officer and Deputy Chief Executive at West Northamptonshire Development Corporation, and Senior Policy Adviser at the Office of the Deputy Prime Minister. Roger Mendonca is currently the lead trainer and Director of Studies at Civil Service College. He has previously worked at West Northamptonshire Development Corporation as its Chief Operating Officer and Deputy Chief Executive. In this combined role he was responsible for the organisation’s corporate services, including its finance department as well as its marketing and governance functions. Roger was WNDC’s Acting Chief Executive and led the establishment of the organisation. Prior to joining the WNDC, Roger was a Senior Policy Adviser at the Office of the Deputy Prime Minister (ODPM). He set up three Urban Development Corporations, managed the Department’s physical regeneration programme and sponsored the Regional Development Agencies. He also led on the Department’s contribution to the London 2012 Olympics candidature process. This course gives delegates the skills and tools needed to think differently about how they work, and identify opportunities to save money and deliver better outputs. Duncan is a successful director, influencer and communicator with proficient experience in driving organisational change, optimising performance and negotiating partnerships. Duncan Enright is a successful and experienced director, influencer and communicator in healthcare information. He has over 25 years’ experience as a Product Development and Marketing Director in professional and healthcare publishing and held elected and appointed senior roles in NHS and Local Government. Duncan’s key strengths lie in his leadership ability, as he is able to inspire others as a persuasive and visionary leader. He also possesses strong communication and networking skills, is proficient in driving change, optimising performance and negotiating partnerships. His current roles include acting as the Head of Health and Care Faculty at Leadershape Ltd., where he provides executive coaching, help leadership and board development, focusing on culture and behaviour change to help drive performance. Duncan studied at Oxford University and is qualified with a PGCE. He has been a Fellow of the Institute of Direct and Digital Marketing, as well as also being elected as a councillor in the West Oxfordshire District Council. Fiona has over fifteen years’ experience specialising in Police Training and Development, as well as vast private sector experience working in Learning and Development within distinguished organisations. Fiona Murphy’s thirty year career has combined practical leadership with learning and development, enabling her to develop a pragmatic and practical approach to leadership development solutions. She draws on her own experience of having led diverse teams across a variety of challenging situation and circumstances. Following an early career in Recruitment, Personnel and Training, she served for fifteen years as an operational Police Officer at Cheshire Constabulary Merseyside Police where she qualified to the rank of Inspector. During this time she specialised in Police Training and Development, honing her own leadership skills whilst developing other like-minded colleagues. Fiona has also had vast private sector experience working in Learning and Development for organisations like Shop Direct and TalkTalk. Her knowledge and experiences led her to make a career transition into Learning and Development training. Since then she has successfully helped organisations in the public, private and charitable sectors to improve business performance, develop team work, increase personal effectiveness and build confidence. Fiona is an excellent communicator, resilient and not afraid of a challenge. She takes pleasure in helping people realise their potential, improve performance and add value to their organisations. Fiona also focuses on leadership development coaching and mentoring across different sectors. Jane is an experienced finance professional having held senior posts in both large (Chief Financial Officer AstraZeneca UK) and smaller organisations. She started her career as a graduate recruit to The Post Office moving into the private sector with ICI and AstraZeneca. Jane is an experienced finance professional having held senior posts in both large (Chief Financial Officer AstraZeneca UK) and smaller organisations. She started her career as a graduate recruit to The Post Office before moving into the private sector with ICI and AstraZeneca. She has held voluntary positions in recent years in the public sector including Independent Director of a housing trust. Jane has been a director of a number of start-up businesses and provided consultancy, facilitation and finance and management training to a number of large organisations. She is passionate about the important role that Finance has to play across all organisations and the need to ensure finance issues are properly understood by non-finance specialists, to ensure finance issues are properly incorporated in decision making at all levels. This course is designed to give attendees the knowledge and skill needed to be able to create effective business cases for their organisations. This course looks at the tools, techniques and concepts of good financial management, equipping delegates with the knowledge needed to make more efficient, confident and informed business decisions. This course explores how risk can be effectively managed to deliver better outcomes. It will enhance delegates understanding of what risk management is. This course explores how value for money can be achieved to deliver the intended outcomes, by exploring the key elements of value for money. Jo Clift has 20 years of experience working at a senior level in the UK Government including the Cabinet Office. She currently helps organisations work with Government and Parliament. Jo started her career as a communications professional and subsequently worked at the heart of government for over 20 years, mainly at the Cabinet Office. She has worked closely with many ministers over the years, including Lord Peter Mandelson and Sir Oliver Letwin. She also worked at Number 10 in the Prime Minister's Press Office. She has delivered a wide range of policies and advised on multiple complex communications issues. Jo has also worked across a wide range of issues including strategy, Ministerial PR and high-level Board appointments, with the common challenge being making things happen across very large and complex organisations. Jo Clift's government roles have included leading the Coalition government's ICT strategy, Head of Communications for the BSE Inquiry and creating a new model for corporate shared services across Whitehall. Jo also gained private sector experience as a senior change consultant at Deloitte Consulting. This enabled her to gain a great set of change skills and valuable insight into the private sector. In addition, she is a fellow at the Royal Society of Arts and a published writer on the Civil Service and Brexit. Women are gradually working their way into key roles across many sectors, but one of the main barriers to success for women is their own view of their skills and their lack of confidence. How does Whitehall really work? This course will ensure that employees understand how government works and how their own organisations should be interacting with it. Jo is a leadership development consultant with extensive experience working with both senior teams and individuals, helping her clients to achieve work and life breakthroughs. Jo is a leadership development consultant and executive coach who has extensive experience in working with both senior teams and individuals to help her clients to achieve work and life breakthroughs. Some of her major projects have included the design and implementation of leadership development programmes for top-level leaders within a major UK retailer, developing a transformation strategy for a leading UK retailer (£1.5bn turnover and 700 stores) which resulted in doubled profits over four years, and leading a culture change programme to engage and enrol top 200 leaders in delivery of new strategy. This also included the development of a new Internal Communication strategy. Jo’s past positions have included the role of Future Planning Director of WHSmith UK Retail, Chair of the World Book Day charity, co-founder of The Turning Point; a leadership consultancy specialising in developing leaders in transition, and the Managing Director of See Change Ltd where she works with leaders and organisations seeking breakthroughs across numerous areas, including leadership development programmes, team development, facilitating strategic planning, culture audit and culture change projects. Jon Trevor's training methodology is entirely experiential – his abiding motto is “you can’t learn to swim in the library”, so all his training is practical and participatory. All though he uses a wide variety of training and facilitation techniques, his particular specialism is Applied Improvisation, which takes concepts, ideas, and techniques from the world of improvised theatre, and applies them as a fast-track, powerful and effective training tool. Jon Trevor has an eclectic background, having been an actor, a theatre director, a writer, a salesman, a university lecturer, a journalist, CEO of three SMEs, a trainer, a facilitator, and a consultant. In one form or another he has been teaching, training, communicating and facilitating, for over 30 years. He is a certified NLP Premiere Practitioner. He is a Board member and Certified Practitioner of the Applied Improvisation Network, an international group of facilitators who use the skills and methods of improvisation to bring about social, personal, or organisational change. He is an improviser and improv teacher, and Director of the Birmingham Improv Festival. He has had features and articles published in The Guardian, Financial Times, The Training Journal, on Radio 4, and many others. He is a licensed and experienced skydiver and aerial videographer with over 1,900 skydives in his logbook. His training methodology is entirely experiential – his abiding motto is “you can’t learn to swim in the library”, so all his training is practical and participatory. All though Jon Trevor uses a wide variety of training and facilitation techniques, his particular specialism is Applied Improvisation, which takes concepts, ideas, and techniques from the world of improvised theatre, and applies them as a fast-track, powerful and effective training tool. The Leadership and Team Skills course focuses on boosting effective teamwork and collaboration, using Applied Improvisation as a fast-track experiential methodology. Marie has worked in the NHS in Scotland and England for 30 years. During this time she has held national and regional posts all of which have involved event planning. As National Training Manager for Patient Focus, Public Involvement she supported many national events which brought clinicians and delegates from all over the UK and Europe. More recently, as Engagement Manager, she leads on events at the Royal Devon and Exeter NHS Trust, including the Hospital Extraordinary People Awards and Hospital Open Days. She has a wealth of experience planning events and leads on Staff Engagement. She holds a National Certificate in Training Practice, is a qualified Skills Assessor and Facilitator. This interactive course will show you how to successfully plan and market your event with real examples, plus practical tools that keep you on track and avoid unwanted surprises. A senior executive and qualified public accountant from a management consulting background with significant operational management and business development experience in the UK and international. Maurice is a senior executive and qualified public accountant from a management consulting background with significant operational management and business development experience in the UK in business improvement and international development. Maurice has significant experience managing revenue and capital budgets both as a local authority accountant and as an interim Finance Director for two public sector businesses. Maurice has received three prestigious awards for excellence in procurement, including a Gold Award for innovation for the Medicines Control Agency. He has a reputation for delivering on time and budget and ensuring stakeholder engagement whilst building local capacity. Maurice leads a UN/CEFACT team on best PPP practice in trade facilitation. Meg is an independent governance consultant who specialises in parliamentary processes, political party development, gender main-streaming and women's leadership. Meg is an independent governance consultant who specialises in parliamentary processes, political party development, gender mainstreaming and women's leadership. A governor at Sheffield Hallam University and a non-executive director of the Esh Group, she is a Fellow of the Chartered Management Institute. She has spent fourteen years as an elected parliamentarian in the United Kingdom, including as a Minister in the Foreign and Commonwealth Office and Minister for Women & Equality. Before parliament Meg worked for twenty years in the social work profession; her last post was Assistant Director of Children's Services. Meg writes and speaks on increasing the numbers of women working in science, engineering, technology and construction, and is Patron of the Women's Engineering Society. She is a member of the UK Foreign & Commonwealth Office’s Diplomatic Excellence External Panel, an Associate of Global Partners Governance and was previously on the Executive Committee of the Inter-Parliamentary Union UK. Mel is an excellent trainer who has extensive expertise in Leadership, Management & Interpersonal Skills Training – this has been underpinned by his professional knowledge and practical experience. Mel is an excellent trainer who has extensive expertise in Leadership, Management & Interpersonal Skills Training – this has been underpinned by his professional knowledge and practical experience. This experience includes the development of competence frameworks, coaching senior leaders, leadership of large scale recruitment and the delivery of training to improve recruitment. He is also an excellent communicator, who makes training participative and engaging. Mel is a Chartered Fellow of the CIPD and holds the Certificate in the Psychology of Management. He is qualified in Coaching and Psychometrics and frequently uses them as part of leadership development. In 2012, he became a CIPD Experience Assessor and has since assessed a range of HR Directors and, led the assessment of a large organisation's HR function in the UAE. Due to his business credibility, Mel was asked to speak at a Leadership conference in 2015, along side Sir Nick Clegg (former UK Deputy Prime MInister) about Emotional Intelligence. This course is designed to give those responsible for managing and developing people a practical framework for managing succession and talent. This one day course will leave participants with an understanding of how to ensure they set the right climate for high performance and give useful tools to build trust and inspire excellence. This course is designed to help attendees understand the resourcing process and have useful tools to undertake successful recruitment and on-boarding. Organisations that recognise the importance of having engaged employees find that performance at individual, team and organisational level rise allowing them to achieve competitive advantage. Michael is a trustee of Pure Leapfrog, a charity providing social investment and professional support to UK community energy projects and has a wealth of expertise in energy policy. Michael Jampel is an independent consultant specialising in semi-regulated markets (energy, telecoms) and on working with government and regulators. He also helps clients understand more generally how central government really works, and how it develops strategy. Michael was previously a UK civil servant, with extensive experience in energy policy, including offshore wind and other renewables, electricity and gas regulation, nuclear power, business and public sector energy efficiency and its financing, electricity demand reduction, and sponsorship of Ofgem E Serve. Michael also created and oversaw the Community Energy Unit. These were all in the Department of Business, Energy and Industrial Strategy (BEIS, previously DECC). In addition he has experience in the Prime Minister’s Strategy Unit, HM Treasury, a UK regulator, and in EU competition policy. He now works on regulatory policy for legal services. Michael is a trustee of Pure Leapfrog, a charity providing social investment and professional support to UK community energy projects. Nicki has a wealth of expertise at a senior level within a number of organisations, both public and private. As a consultant, trainer, facilitator and coach Nicki has worked with a variety of organisations including the NHS Leadership Academy, Department of Health, Department for Work and Pensions, the Competition and Markets Authority, Health Education East of England, Kent Surrey and Sussex NHS Leadership Collaborative, Human Tissue Authority, Central & Ceil Housing, Delphi Automotive and Virgin Atlantic. Having worked in the UK Civil Service for over 5 years, Paul is an expert in the UK system of government and Parliament. For well over 20 years, Paul has ran training programmes on various aspects of the British system of government. Having worked in the UK Civil Service for over 5 years, Paul is an expert in the UK system of government and Parliament. For well over 20 years, Paul has ran training programmes on various aspects of the British system of government – Parliament, Ministers, The Civil Service, Devolution etc., as well as on the skills required of policy civil servants working for ministers. He ran programmes across all levels of the Civil Service and the wider public sector, and as well as for clients in the private sector. He was also responsible the main induction programme for new entrants to the Civil Service Fast Stream and co-directed the induction programme for external entrants to the Senior Civil Service. Furthermore, whilst at the National School, he co-authored the book “Understanding British Government” and continue to provide revised versions for use on programmes run by Civil Service Learning. Ruth is currently a Senior Policy Fellow for The Health Foundation and previously held positions across several government departments, including the Foreign Office, the Home Office and the Cabinet Office where she worked in the Prime Ministers delivery unit. Ruth Knox is currently a Senior Policy Fellow for The Health Foundation. Prior to this she was a Senior Civil Servant in four government departments: the Foreign Office, where she was head of operations; the Home Office, where she led counter-terrorism work; the Department of Health, where she was private secretary to the Permanent Secretary and in operational roles; and the Cabinet Office where she worked in the Prime Minister’s Delivery Unit. She is an expert facilitator, with a flair for bringing people together from a range of backgrounds and perspectives to come up with practical solutions to real life problems. Her extensive experience of successful collaboration with colleagues in the NHS and wider public sector, alongside her deep knowledge of project and programme management, have ensured major change initiatives have delivered positive results. Her operational experience ranges from helping people on welfare benefits to working with the emergency services on England’s response to terrorist related attacks. It also includes knowledge of commercial and procurement activities, having reviewed arrangements in the Department of Health and the NHS, where she made recommendations for change that realised £500m in savings. Major achievements in her former role included supporting the Department in producing the NHS Plan: a plan for investment, a plan for reform. She also worked with NHS colleagues to ensure successful delivery of the Prime Minister’s key NHS service delivery targets. Above all, her experience across some of the most important departments of Whitehall has given Ruth a total belief in the importance of the public sector and the people who work in it. She started her career in 1987 on the front line, assessing people’s eligibility for means-tested benefits. The knowledge that these early experiences gave her, of the vital role that the welfare state plays in people’s lives, have stayed with her as she undertook more senior roles, making sure that she always looked for more efficient and effective ways of using scarce resources to achieve positive social outcomes. This course is designed to give participants the confidence to engage meaningfully with different stakeholders throughout different stages involved in policy delivery and implementation. Seamus Gillen, one of the lead trainers at Civil Service College, started his career in the local government, before moving to Whitehall as a civil servant, becoming Private Secretary to John Gummer MP, Secretary of State for the Environment, and then Private Secretary to John Prescott MP, Deputy Prime Minister. Seamus Gillen started his career in local government, before moving to Whitehall as a civil servant, becoming Private Secretary to John Gummer MP, Secretary of State for the Environment, and then Private Secretary to John Prescott MP, Deputy Prime Minister. He moved into industry, as the Group Company Secretary and Director of Regulation at Anglian Water (later AWG) plc, and then Head of Public Policy and Regulation at O2 plc (now part of the Telefonica Group). He became Policy Director at the Institute of Chartered Secretaries and Administrators (ICSA), where he authored a number of influential publications, including ICSA’s guidance on 'Boardroom Behaviours', and the UK Financial Reporting Council's ‘Guidance on Boardroom Effectiveness’, He also created ICSA’s successful annual Awards dinner. He was responsible for the production of ICSA’s technical output, including its best practice Guidance Notes on boards and directors. Seamus runs his own governance advisory business – Value Alpha Limited – working with boards and directors around the world. His particular focus is on board effectiveness and director effectiveness. He also runs a Leadership Development Programme for company secretaries. Seamus Gillen writes and speaks extensively on governance issues. He holds a Degree in Business Studies, and is an MBA and an ICSA Fellow. Simon Hall is a journalist with 25 years’ experience. Most of his career has been spent as a BBC News Correspondent, specialising in local government, politics, policing, legal, and home affairs reporting, working for television, radio and online. Simon Hall is a journalist with 25 years’ experience of covering some of the biggest stories Britain has seen. Most of his career has been spent as a BBC News Correspondent, specialising in local government, politics, policing, legal, and home affairs reporting, working for television, radio and online. He also writes freelance articles for magazines and newspapers. Simon has covered stories ranging from terrorist attacks to floods, fatal fires, serious crime, shipwrecks, cyber-attacks, the impact of austerity, and systemic organisational failures. In recent years, he has also worked with council leaders, chief constables, chief executives, politicians, senior business people and chief fire officers to help with their handling of the media. As well as being a journalist, Simon is an author, teacher and public speaker. His novels - the tvdetective series - are about a television reporter who covers crimes and gets so involved in the cases he helps the police to solve them. Seven have been published. Alongside his novels and stories, Simon is a tutor in creative writing, teaching at popular writers’ schools, on cruise ships and overseas. Simon has become sought after as a speaker, appearing at a variety of prestigious literary festivals. His talks combine an insight into his writing work, along with some extraordinary anecdotes from the life of a television reporter. Simon lectures at Cambridge and Exeter Universities on careers in the media, as well as giving talks about the industry at schools and colleges across Britain under the auspices of the Speakers for Schools charity. An exploration of everything you need to know to build a clear, memorable and resonant message, for both internal and external audiences. This course is designed to give attendees insights, tips and tricks for dealing with deadlines, stress and demands. This course is designed to give you tips and tricks for dealing with the media minefield, whether television, radio, online, newspapers, magazines or social media. The growth of social media has been phenomenal. This course is designed to shine a light on exactly what the various platforms do, and how to use them to achieve your aims. This course is designed to to give delegates an insight to the secrets of success, helping you achieve the ambitions you always feared were out of reach. Tom started his career in Accenture focusing on global business transformation programmes for large corporates such as Barclays, British Gas and 20th Century Fox. In 2013, he joined the Cabinet Office as Senior Advisor on Digital and Technology Skill across UK Government. He has also owned digital leadership development for the Department of Work & Pensions and is a guest lecturer for Floream’s Academy of Digital Business Leaders. Tom started his career in Accenture focusing on global business transformation programmes for large corporates such as Barclays, British Gas and 20th Century Fox. In 2013, joined the Cabinet Office as Senior Advisor on Digital and Technology Skill across UK Government. He has also owned digital leadership development for the Department of Work & Pensions and is a guest lecturer for Floream’s Academy of Digital Business Leaders. Consulted 9 years in Talent & Organisation Performance for Accenture and worked as Head of L&D for Colt Technology Services. Have experience in Technology, Professional Services, Banking, Government and Utilities industries. Additional key strengths: digital practice creation for consultancies, Agile/UX design, Digital Academies and global webinar delivery. Hold Master’s in HR, Bachelor’s in Management, trained in Executive & Life Coaching. This digital leadership course explores various digital platforms as an excellent means of offering transparency, giving instant updates, collecting feedback and even humanising departments. Tom Shakhli is a social entrepreneur with who focuses on experiential learning as a means to developing sustainable leadership, a practice which means long-lasting results for yourself and the teams within which you work. He currently runs a bicycle company, Brake the Cycle, which takes people on transformative tours which challenge the mind as well as the body. He has previously worked as a language teacher with executives at DHL, and spent time in Brussels working in the office of an MEP. Tony has extensive experience in numerous top roles, including Director of ICI Chemicals and Polymers Ltd, Chief Executive of ICI Chlorchemicals Business and was the first Non-Executive Director and Chairman of the Animal Health and Veterinary Laboratories Agency. Tony Foster was formerly a Director of ICI Chemicals and Polymers Ltd, Chief Executive of ICI Chlorchemicals Business and a full-time member of the Criminal Cases Review Commission for nearly a decade. He was a member of the Council of the Competition Commission for over five years and was the first Non-Executive Director and Chairman of the Animal Health and Veterinary Laboratories Agency. Tony was a member of the Financial Protection Committee of the Solicitors Regulation Authority, a member of the Disciplinary Committee of the Institute of Chartered Accountants and a member of the Board of Trustees of Victim Support. For six years Tony was a lay member of the Discipline Committee of the ICAEW, where he sat with two members of the Institute to decide on allegations of misconduct. He was also the sole lay member of the Financial Protection Committee of the SRA, responsible for ensuring comprehensive professional indemnity insurance was in place for all practicing solicitors and for the rules, operation and funding of a £50m Compensation Fund. He is a Non-Executive Director of Gloucestershire Hospitals NHS Foundation Trust and a member of the Determinations Panel of the Pensions Regulator. As a non-executive director of Ellis & Everard plc, Tony guided them from a £100m sales, ICI part owned UK distributor, to an independent £800m worldwide leader in chemicals distribution. Tony is a founding member of Criminal Cases Review Commission, playing a major role in devising and implementing case review processes from its creation in 1997. He has chaired the Audit Committees of the Competition Commission, AHVLA, and Victim Support.